Every one of us on earth knows someone who is suffering from something. It could be thought related (fears, phobias, etc. ), emotions related (anger, etc.) depletion of energy (lethargy, not feeling energetic, etc.) or even having a simple or difficult physical condition (any physical illness, pain, etc.). These conditions of the thought, emotion, energy or physical body could be from short duration or may be continuing for some time. Each person suffering from either of these conditions or a combination of them has been looking for a simpler solution to come out of his/her condition(s). The person may have been going to a number of therapists from various disciplines. Primarily allopathic or any of the alternate medicine practitioners who are commonly available. But can they be really helped and cured? Since the 1950s, Dr. John Kappas, a Psychiatrist of repute in the USA, did a lot of research on the methods of Dr. Milton Erickson to determine how he was able to help people heal the conditions of thought, emotion, energy or physical body, disturbing the person, commonly called dis-ease by using hypnotherapy, i.e. therapy done or healing carried out , when the person is in a state of mind, known as 'Hypnosis'. Dr. John Kappas helped bring 'Hypnosis' to the realm of science, by explaining and simplifying the 'Hypnosis' phenomenon, and its use in helping and healing individuals. He indeed helped cure/heal persons. Hypnosis and Hypnotherapy' is a Science which helps heal a person with various conditions, at all levels. In 2002, Dr. Sunny Satin, an Indian, after learning 'Hypnosis and Hypnotherapy' in the USA from Dr. John Kappas at the 'Hypnosis Motivation Institute, the only U. S. government accredited 'Hypnosis and Hypnotherapy' teaching Institute in the USA, decided to spread the science of 'Hypnosis and Hypnotherapy' in India, in 2002. Since 2004 Yogesh Choudhary, a certified Clinical Hypnotherapist, and the first student of Dr. Sunny Satin, has established Indian Institute of Hypnotherapy, to spread the awareness of 'Hypnosis and Hypnotherapy', train personnel and provide therapy to people. To date hundreds of people have learnt this science and are successfully practicing in India. 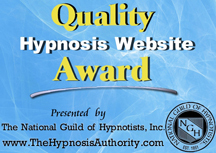 More and more people are seeking help from Certified Hypnotherapists and getting the benefit. The contents of this website are mainly for educational purposes only.